Organized around the letters exchanged between the leaders as the crisis developed and augmented, with personal details of the circumstances under which they were written, considered, and received, James Blight and janet Lang poignantly document the rapidly shifting physical and psychological realities faced in Washington, Moscow, and Havana. The result is a revolving stage that allows the reader to experience the Cuban missile crisis as never before—through the eyes of each leader as they move through the crisis. The Armageddon Letters transports the reader back to October 1962, telling a story as gripping as any fictional apocalyptic novel. Order the book with a 30% discount! Use PROMO CODE RLFANDF30 at checkout. 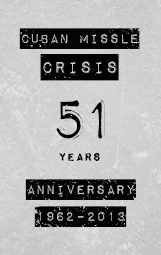 "James Blight and janet Lang, two innovative scholars who have long studied the crisis, have written a book that is a giant step toward rendering the events of October 1962 too memorable, too frightening, and too personal ever to be forgotten. We were lucky that the inclination of the leaders of the U.S. and USSR, Kennedy and my father, was not to shoot first, then think, but was rather the opposite... this is a work of sober history that reads like a horror novel with an almost miraculously lucky outcome. I could not put it down." — Sergei N. Khrushchev, Senior Fellow Watson Institute for International Studies, Brown University, author of many works on the life and career of his father, the former Soviet chairman Nikita S. Khrushchev, including Nikita Khrushchev and the Creation of a Superpower. "The Armageddon Letters is a tour de force that brings the Cuban missile crisis harrowingly alive... Based on nearly 30 years of path-breaking scholarship, it situates 43 well-chosen documents in both their historical and human context, and enables the reader to probe between the lines. Blight and Lang also make clear that the genesis of the confrontation began long before October 1962... that Cuba’s threat calculus and behavior had an effect on the both the crisis and its aftermath. They thus laudably return Cuba to the Cuban missile crisis story." — Philip Brenner, Professor of International Relations, American University, and the co-author of A Contemporary Cuba Reader: Reinventing the Revolution. "Three cheers for epistolary history. In these crafty but wondrously expressive "Armageddon Letters" pen-pals Kennedy (dry, cool, defensive) and Khrushchev (explosive, tricky, soulful) were writing the bedrock literature of the nuclear age. There's a great gain of intimacy in this telling of the story, and no sacrifice of absurdity, no slighting of the essential madness in the nuclear fantasy. Fifty years after the October weekend when human civilization hung by a thread, Blight, Lang & Company are reminding us irresistibly that the fantasy is not dead, the trap is still lethal, the danger is not over..."
— Christopher Lydon, Host of Radio Open Source. 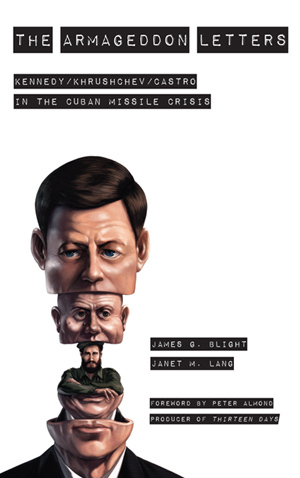 "For over a quarter century Jim Blight and janet Lang have earned the gratitude of scholars and the interested public by highlighting and preserving the human dimension of the Cuban missile crisis... With The Armageddon Letters, they are now brilliantly connecting the iPad generation to Kennedy, Khrushchev and Castro and to the lessons of that near nuclear catastrophe." — Timothy Naftali, coauthor of One Hell of a Gamble: Khrushchev, Castro & Kennedy, 1958-1964. "Some believed that Kennedy through his poor handling of the crisis had played a high stakes game and needlesslly risked the fate of the world. Historians who have studied the crisis believe differently as an important new book by James Blight and janet Lang, The Armageddon Letters, attests." "In October 1962, the world was literally on the eve of its end—Armageddon. Yet, you are reading this book. Armageddon did not happen. Statesmanship, strategy, and serendipity gave you this opportunity to learn from this dramatic crisis, which is admirably and lucidly re-told and portrayed in this book. You are thus afforded the chance to make sure our successors will be alive to read it and learn from it in decades to come." — Jorge I. Dominguez, Professor of Government, Harvard University, co-editor of Debating U.S.-Cuban Relations: Shall We Play Ball? "A brilliant reconstruction of the most dangerous days in history when thermonuclear war seemed all but inevitable. Based on a quarter century of research, you see the crisis not only from Washington, but also from Moscow and Havana. This book is filled with lessons that can help avert Armageddon in our times." — Bruce Riedel, Senior Fellow in foreign policy, the Saban Center for Middle East Policy, The Brookings Institution, and author of Deadly Embrace: Pakistan, America and the Future of Global Jihad. "Authors James Blight and janet Lang provide readers with a front row seat to one of the most terrifying horror stories of all time... Part historical archive, part movie script, and part comic book, The Armageddon Letters creatively transports the reader back in time, rapidly moving us to and from Washington, Moscow, and Havana... So long as nuclear weapons exist – and approximately 22,000 of them can still be found in nine countries – the risk of catastrophe will remain. We lucked out fifty years ago. We may not be so lucky next time." — Kingston Reif, Director of Nonproliferation at the Center for Arms Control and Nonproliferation, Washington, DC; and Editor, Nukes of Hazard blog. "Manga meets the Missile Crisis in this compelling book. Through a creative mixture of illustrations, imagined conversations, historical analysis, and the actual letters written by Kennedy, Khrushchev, and Castro, Jim Blight and janet Lang enable readers to intellectually understand and emotionally feel what happened in the dark days of October 1962." — Scott D. Sagan, Senior Fellow at the Center for International Security and Cooperation and the Freeman Spogli Institute, Stanford University, and co-author of The Spread of Nuclear Weapons: A Debate Renewed.